So far we have only installed and used simple "Text Only" unix programs. 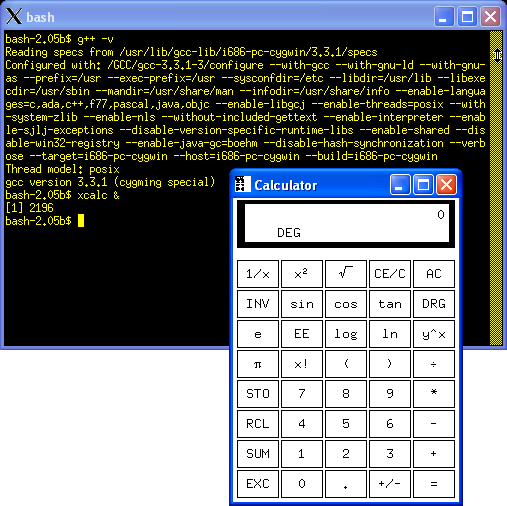 X Windows is the graphical system used on most Unix and Linux computers. 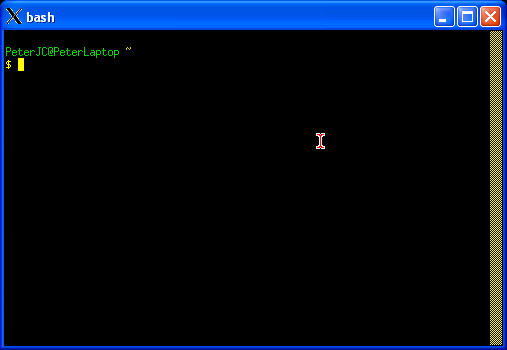 By installing this for Cygwin, it allows us to run lots of graphical unix programs. In particular, there are fancy editors like nedit and emacs (note emacs does have a text only version that is very hard to use as well) which can do colour coding of programming files. In particular, we will need to use the graph plotting program gnuplot (see Part Five). UPDATE: Since this was written, the XFree86 group decided to change their license terms, and this had the knock on effect of a rival group being setup, X.org, whose software is now used by most Linux distributions (and Cygwin) instead. 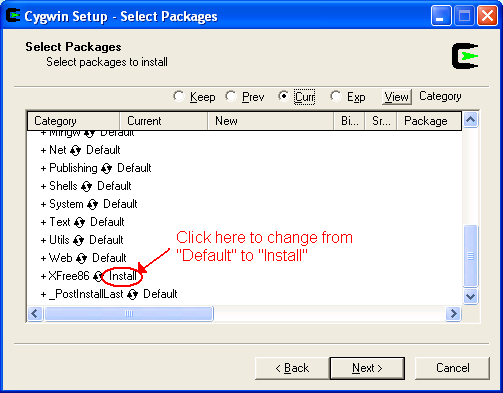 On my computers, Cygwin handled the transistion very smoothly, so I would expect there to be no big differences needed to these instructions. But take care. 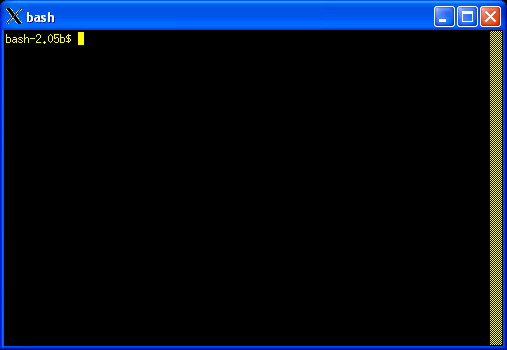 Close Cygwin if it is running. Click on "Next" until you reach the "Select Packages" screen. 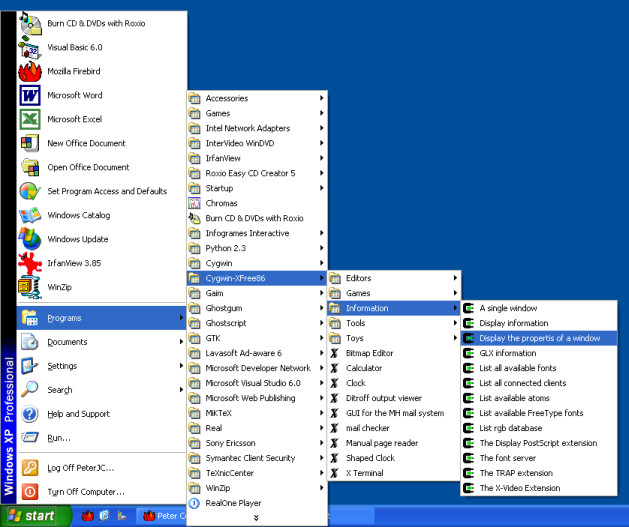 Find the "XFree86" (UPDATE: "X11" entry) (X Windows) entry (about second from last), and click on the text "Default" which should change to say "install"
Click on the next button, and let Cygwin download and install the X Windows system. This will take a while, have a cup of tea. I suggest you call this shortcut "Start X Win" rather than "Shortcut to startxwin.bat"
After a short wait, a black window should appear briefly and then disappear. 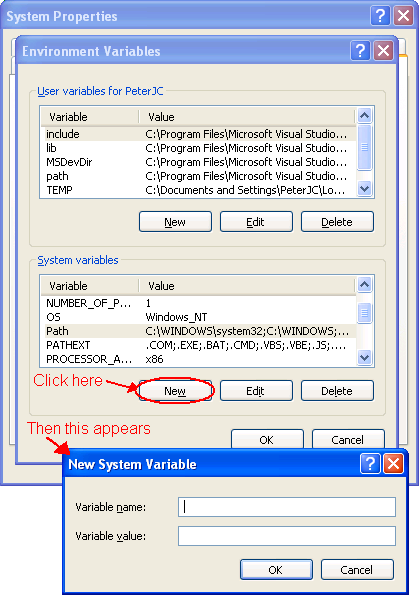 On your windows desktop, right click on "My Computer" and select "Properties". Then click on the "Advanced" tab. 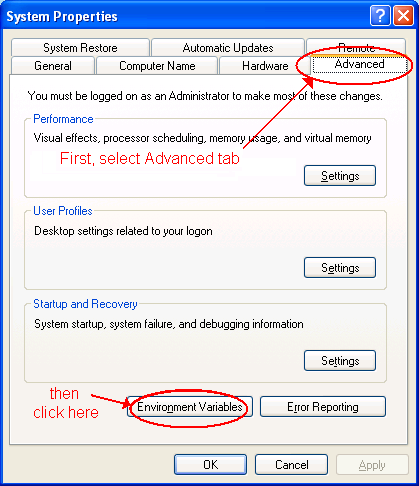 This should have a button at the bottom left called "Environment Variables", click on this. This should bring up another window. 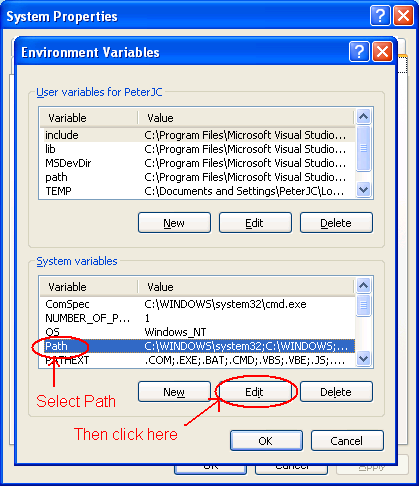 In the bottom half of the screen (System variables), select the line called Path, and click "Edit"
This should bring up another little window where you can edit the current text. You should now be back at the "Environment window"
Next up, Part Five - Installing gnuplot.